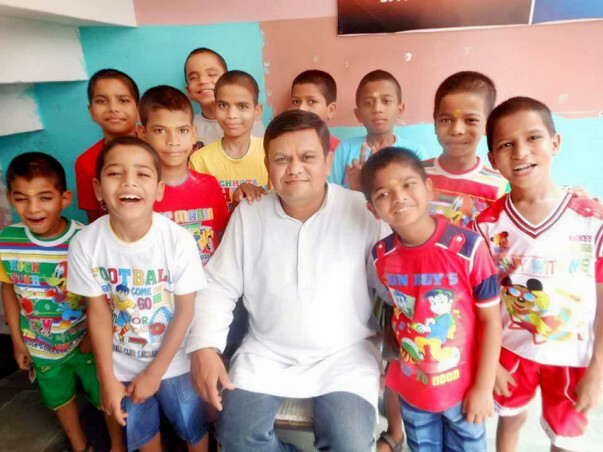 Ajay Sharma has a very strong survival instinct and he hopes to inspire the same sense of perseverance into his thirteen adopted children who are affected by AIDS/HIV. Ajay is no stranger to hardship himself having survived through serious brain hemorrhaging and successfully restoring normalcy to his life. Ever since Ajay’s doctors deemed him healthy, he has been working towards providing abandoned children with the opportunity to live in a protective and affectionate environment. Ajay resigned from his job, and with the moral and financial support of his wife, Babita, he has been running the Satyakam Sewa Ashram out of a rented house in Meerut, Uttar Pradesh. The couple house and support thirteen adopted children solely on Babita’s salary; often cutting back on personal expenses and desires in order to maintain a decent standard of living for their children. Currently, Ajay is working to spread awareness about the AIDS virus, gradually educating the general public on how the disease spreads and breaking down the common misconceptions associated with it. Through the Satyakam Sewa Ashram, kids that were previously cast aside are given the opportunity to be a part of a healthy home environment. The youngest child at the Ashram is six and a half years old, while the oldest claims that he will never leave his father’s side. All the children at the house refer to Ajay as “Pitaji”; Ajay is unfazed by the challenging task that lays ahead of him, however, his unwavering love for the kids motivates him to be a father to many more. When a child loses either one or both parents, his or her future is automatically slightly compromised. Orphaned kids, most often than not, end up being homeless and spend most of their time in hunger and poverty. These orphans are in need of a healthy environment to live in and deserve to be given the chance to prosper. Uttar Pradesh has an alarmingly high number of HIV positive people at 21,000, the majority of which are below the age of 20. Taking into account UP’s high HIV positivity rate, the state does not have any care homes or shelters in place to provide for orphaned children suffering from HIV. Existing shelters and homes are very discriminative when it comes to individuals infected with AIDS; this negative prejudice is the reason for a lot of the children’s suffering. 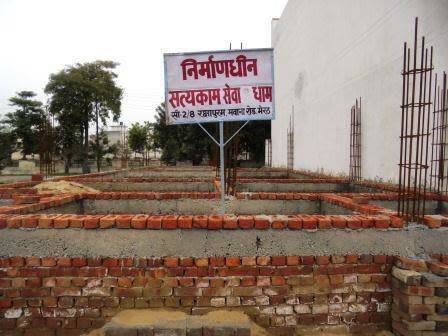 Satyakam Residential Care Home began in Meerut with the purpose of providing shelter and a caring family environment for orphaned children infected with HIV. Due to a limited holding capacity and minimal funds, the organization is capable of providing very restricted support to the thirteen children residing at their home. They are currently entirely dependent on the salary of Ajay’s wife and on local and outstation donations. Satyakam seeks your support to ensure the quality of services being given to the thirteen kids is not compromised. If donations are raised successfully through this campaign, the care home will have an avenue of support for at least one year. Support Satyakam and help abandoned, HIV-infected children have the opportunity to live normal lives. 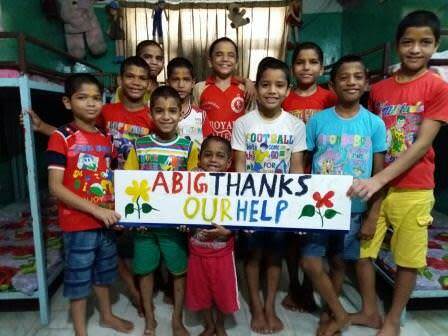 This ongoing fundraising campaign is to establish a permanent and bigger home for HIV positive orphaned children. With the initial funds raised, the work has started on the piece of land donated to the organization by some generous local people. But still there is a long way to go and we needs your support. On behalf of all kids, I thank all those who have donated to the campaign so far for their valuable support in reaching the goal to have permanent shelter for more orphan HIV AIDS children. or by spreading the word among your network as their is still a long way ahead to reach the entire goal!